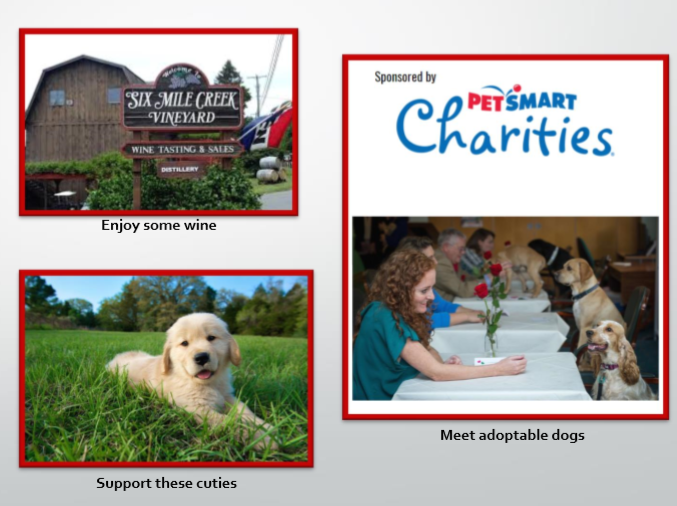 Join Johnson Student Council and Vet School Students on Wednesday, April 17 from 6PM to 8PM at Six Mile Creek Winery to raise funds for shelter dogs! Johnson MBA students and Vet School students can mingle with each other and with adoptable shelter dogs! Limited availability, so register ASAP! Ticket includes light snacks and one glass of wine.